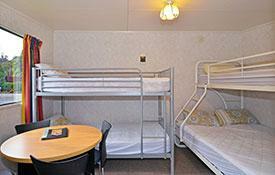 Fully self-contained 1-bedroom unit containing a queen-size bed with electric blanket and a set of bunks in the bedroom. 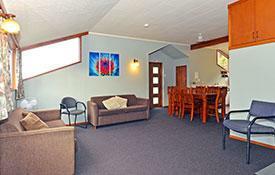 There is a fold-out double couch in the living area, which is fully equipped with ensuite, microwave, Sky TV. 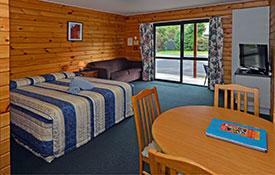 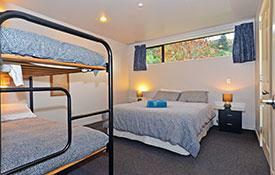 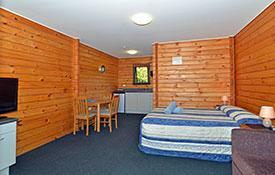 A fully self-contained studio unit containing a queen-size bed with electric blanket and a pull-out double couch. 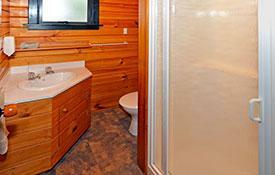 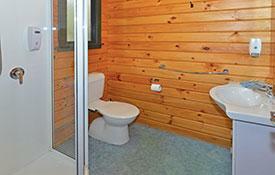 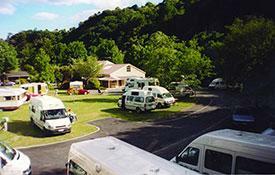 Has its own bathroom and cooking facilities, together with Sky TV. 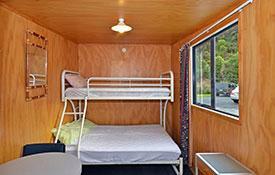 Self-contained 1-bedroom unit containing a double bed and a set of bunks, together with a pull-out double couch in the living area. 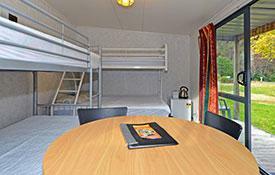 It has its own cooking facilities, Sky TV and its own bathroom. 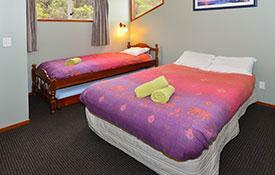 A 2-bedroom fully equipped unit, with 2 queen-size beds and 3 single beds together with 2 double pull-out couches in the lounge. 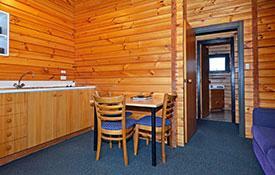 The kitchen and lounge area are ideal for a family or sports groups as it also has Sky TV. 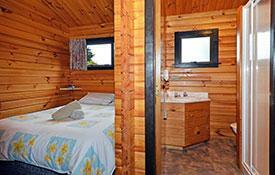 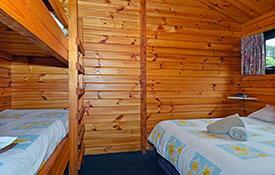 The cabins contain bunks, table and chairs, toaster and jug, and a small amount of crockery and cutlery. 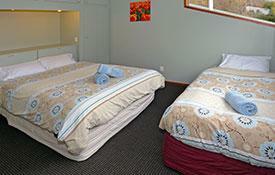 BEDDING IS REQUIRED, SHARE FACILITIES. 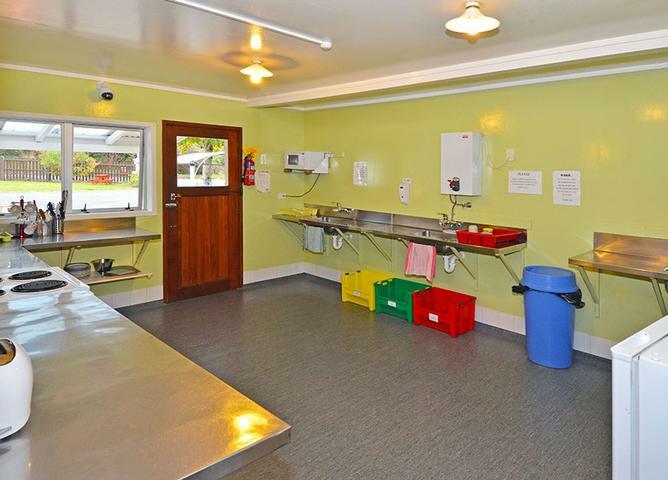 Has a kitchen with cooking facilities, while showers and toilets are provided in the main building. 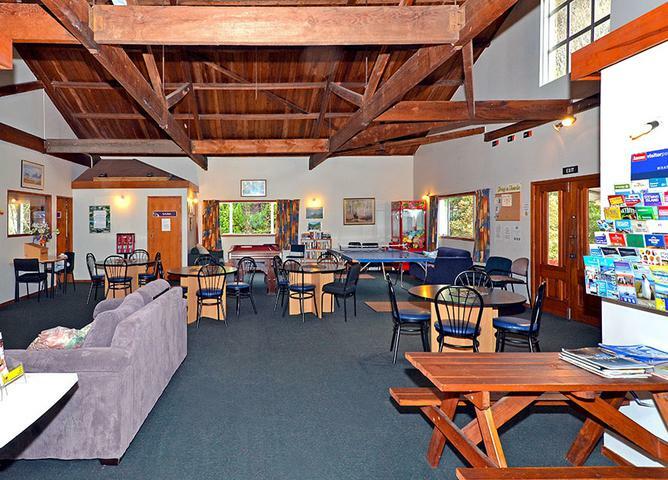 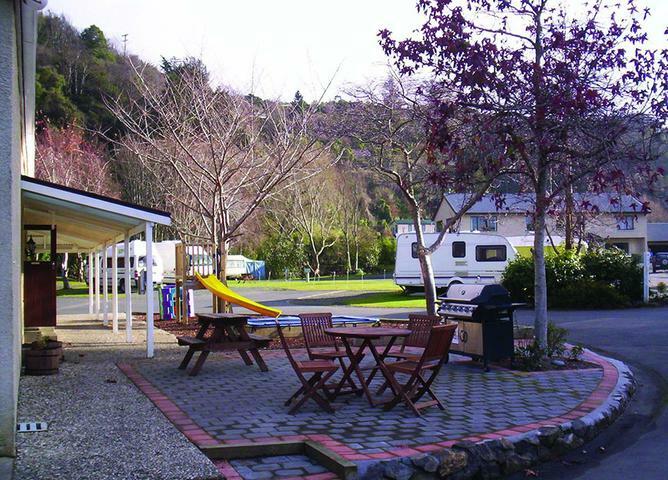 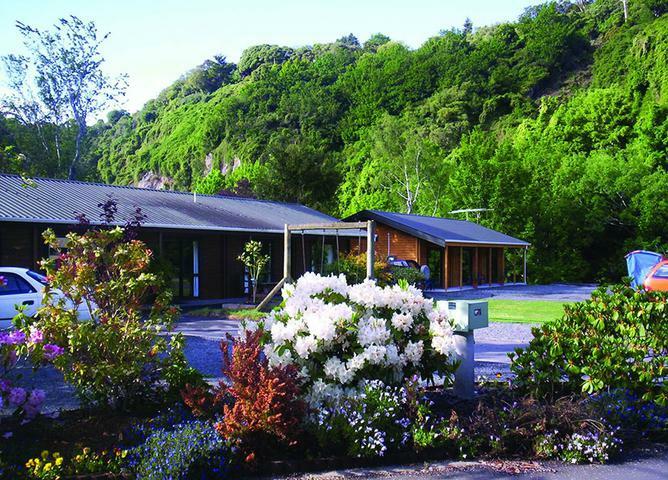 Our peaceful sheltered park is situated on the banks of the lovely Leith Stream with access to bushwalks and glowworms, yet only 1km from the main street. 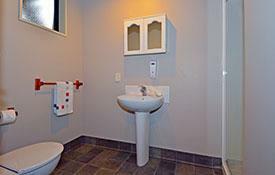 Balance of account payable on arrival. 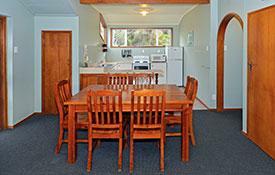 Damages and extra cleaning charges will be charged back to the guest. 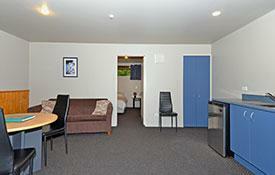 Refund of deposit will be given up to 72 hours prior to day of arrival LESS a $15 booking fee per unit.